We just couldn’t let the third day of Eid pass by without sharing some more treats with our sweet fans, friends, and family. 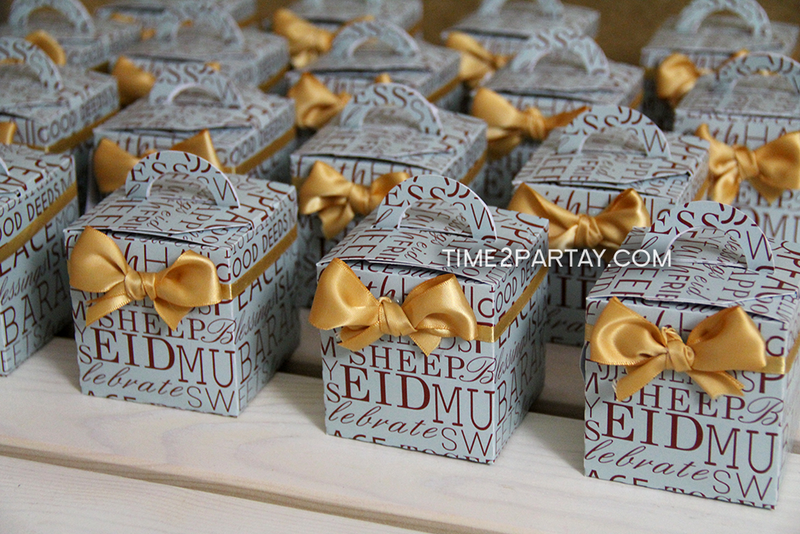 These are some Eid themed boxes that we made for a company to give to their employees. 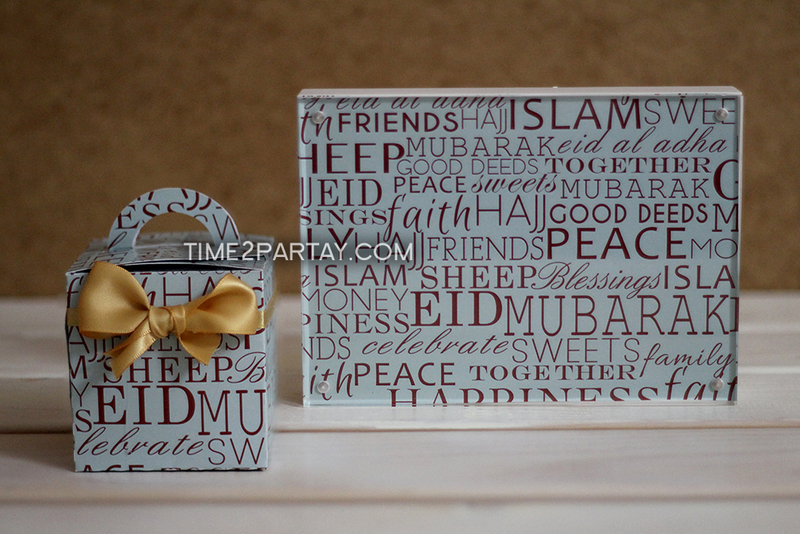 We designed the boxes using one of my favorite color combinations and Eid related words. 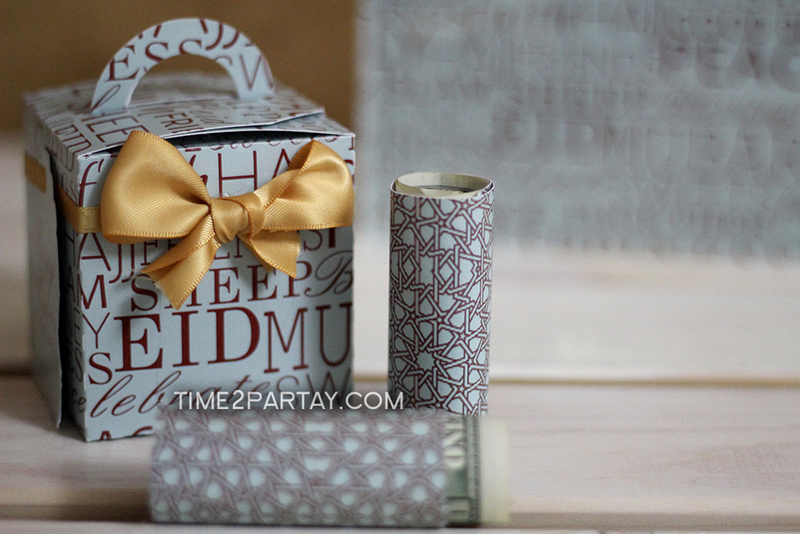 These could work as gifts for friends, family, or colleagues. 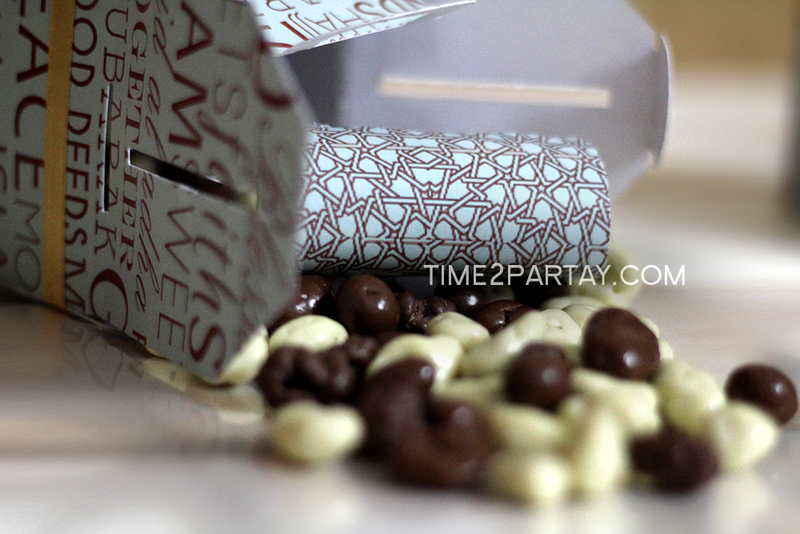 Check out the pictures below for more sweet details, and make sure to visit our blog tomorrow for more sweet treats! 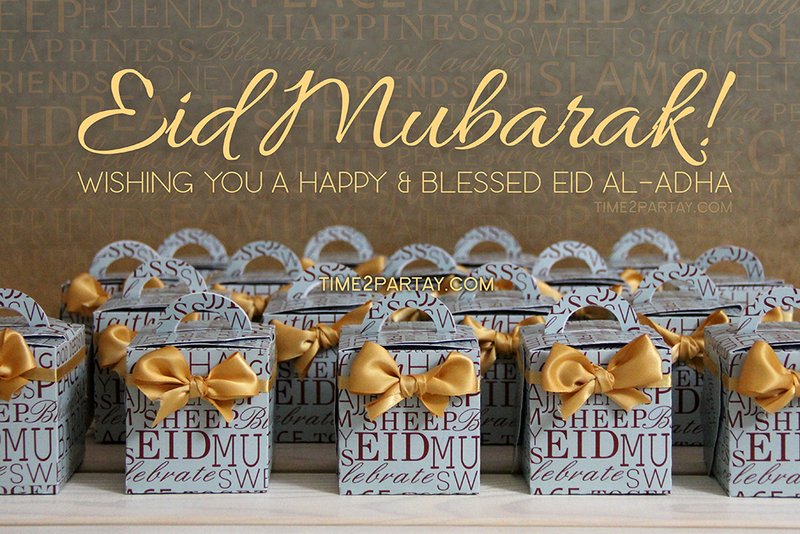 Eid Mubarak to everyone that celebrates it! 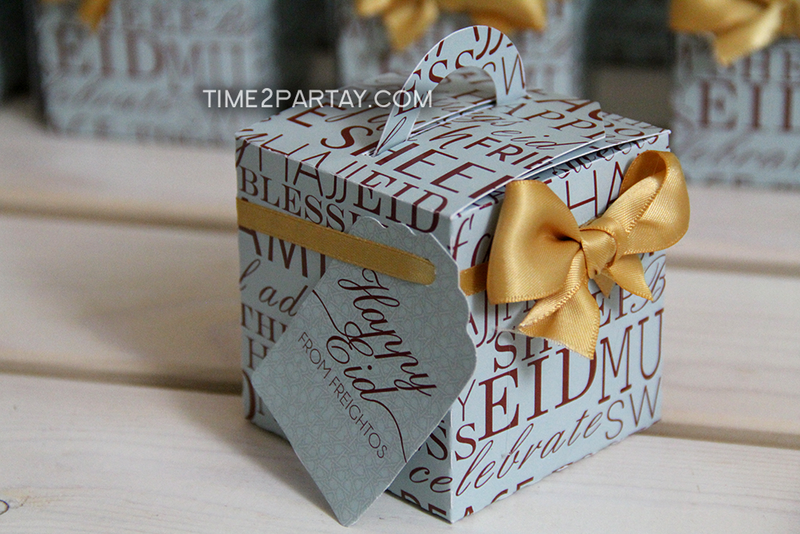 We designed this tag using the company’s name and a Eid message. This box could be filled up with many different options, such as chocolate covered raisins and money. We added this wrapper around the dollar bill to separate the chocolate from the money. 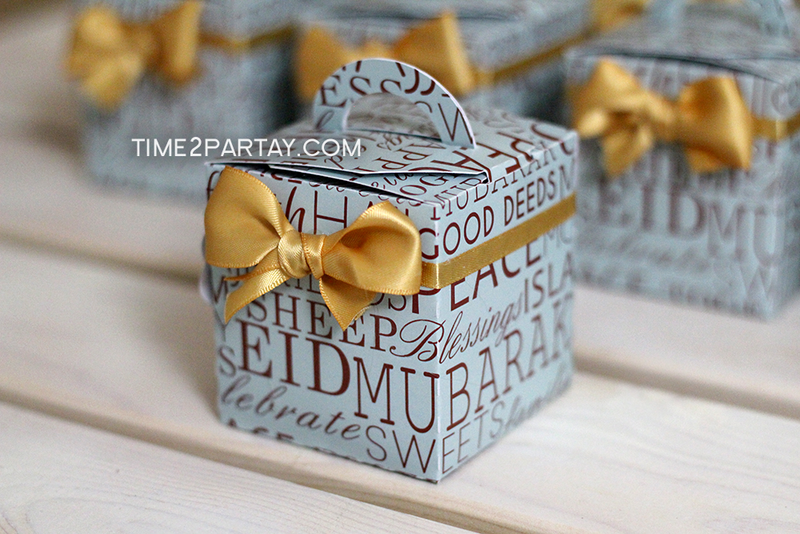 Click here to check out more of our Eid themed sweets, favors, and decorations on our blog, or click here to check out the album on our site.